Entrepreneurship. Small Business. Franchising. 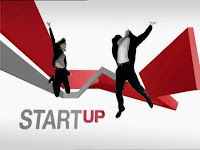 : Franchise or Start-Up? First things first: At Guidant Financial we help entrepreneurs finance startups, purchase existing businesses, or purchase franchises. As far as what type of entity you start, we aren’t biased in any way – except that we definitely want you to succeed. But, if you’re trying to decide between purchasing a franchise and starting a new business, here are a couple of thoughts. Arguably the two biggest reasons to purchase a franchise are branding and systems. Branding refers to – big surprise – public awareness, or the brand, of the business. If you purchase a Burger King franchise you automatically enjoy major brand awareness. Everyone knows what Burger King provides; if you start your own restaurant, you’ll need to work hard to get the word out about your menu, your service, and the quality of your food. A solid brand creates an immediate level of trust for your potential customers. Systems refer to the support you will receive: Training, advertising assistance, software, operational guidance… solid franchisors provide a blueprint and a road map for your success. Even if you’ve never worked in the industry, the franchisor will train you. Plus you’ll have a solid understanding of up-front costs, capital requirements, operating expenses… there should be no surprises, and you can make sure you line up adequate small business financing to cover your start-up and operating costs. It’s an old cliché, but entrepreneurs are often referred to as people who don’t just want to be in business for themselves… but by themselves. Buying a franchise gives you the best of both worlds: Your success is based on your skills, perseverance, and hard work – but you won’t have to go it alone.